While we were distracted earlier this week by the Michael Cohen show on Capitol Hill and the failed Trump-Kim love fest in Hanoi, two nuclear-armed rivals tiptoed up to the brink of war and then … stepped back. On Tuesday, India launched airstrikes into Pakistan, targeting a training camp belonging to the terrorist group Jaish-e-Mohammed, in retaliation for a suicide bombing on Feb. 14 that killed 40 Indian soldiers on the outskirts of the city of Srinagar, in the Indian-controlled territory of Kashmir. JeM is a Kashmiri separatist group sponsored by the Pakistani government. A day later, Pakistani jets crossed into Indian territory, then shot down at least one of the Indian fighters that scrambled in pursuit. The pilot was captured by Pakistani forces. Amid all this, news reports indicated that both sides had activated and reinforced their heavy armor formations along the Line of Control that separates Indian from Pakistani-controlled Kashmir. Troops exchanged fire across the border. Pakistani Prime Minister Imran Khan said in a televised address that the two sides could not afford a miscalculation “given the weapons we have”. “We should sit down and talk,” he said. “If we let it happen, it will remain neither in my nor [Indian Prime Minister] Narendra Modi’s control. “Our action is just to let them know that just like they intruded into our territory, we are also capable of going into their territory,” he added. Today, Pakistan handed their captured Indian pilot over to his own government. The crisis seems to have abated. So what does this episode tell us? It might tell us that nuclear deterrence actually works. India and Pakistan each have about 140 nuclear weapons that can be delivered by short or medium-range missiles, cruise missiles, or aircraft. Both are working to develop submarine launched nuclear missile systems. 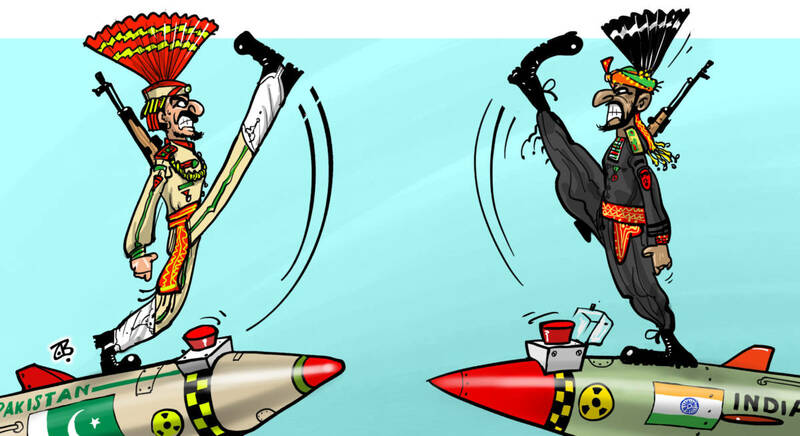 Both countries’ nuclear doctrines emphasize deterrence, promising to deliver an unacceptable level of punishment against anyone that dares attack. Forty years ago, political scientist Kenneth Waltz argued that nuclear arsenals like these would have the desired effect of forcing caution on states that might otherwise be tempted to escalate a crisis like this week’s between India and Pakistan to full scale war. I wrote about this a month ago in the context of discussing North Korea’s nuclear weapons program. Given the catastrophic damage that nuclear weapons can inflict, even if used in relatively small numbers, Waltz writes that nuclear weapons make “both sides more cautions and the tensions between them less likely to lead to anything more than a skirmish.” Miscalculation, which Waltz rightly says has historically been an important precipitant of war, become less likely under such conditions due to the disastrous consequences of getting it wrong. Put it all together, and nuclear-armed rivals like India and Pakistan have every reason to quickly de-escalate any crisis that threatens to get out of hand. India and Pakistan have fought three major wars since each won independence from Britain in 1947, two of them over the disputed territory of Kashmir. But since both became nuclear weapons states, their clashes, while troubling, have stayed contained. When my students read Waltz’s arguments on the virtues of nuclear weapons, they often come away doubting the logic. And it stands to reason. Our human sensibility argues strongly that the last thing we should want is to see more of these weapons in the world. And yet, we have to acknowledge the reality that nuclear weapons, so far, have only been used in anger once. By us. Before any other countries had these weapons. More nuclear weapons in the hands of more countries has not led to more use of nuclear weapons. So maybe Kenneth Waltz was right. Maybe nuclear proliferation is good. 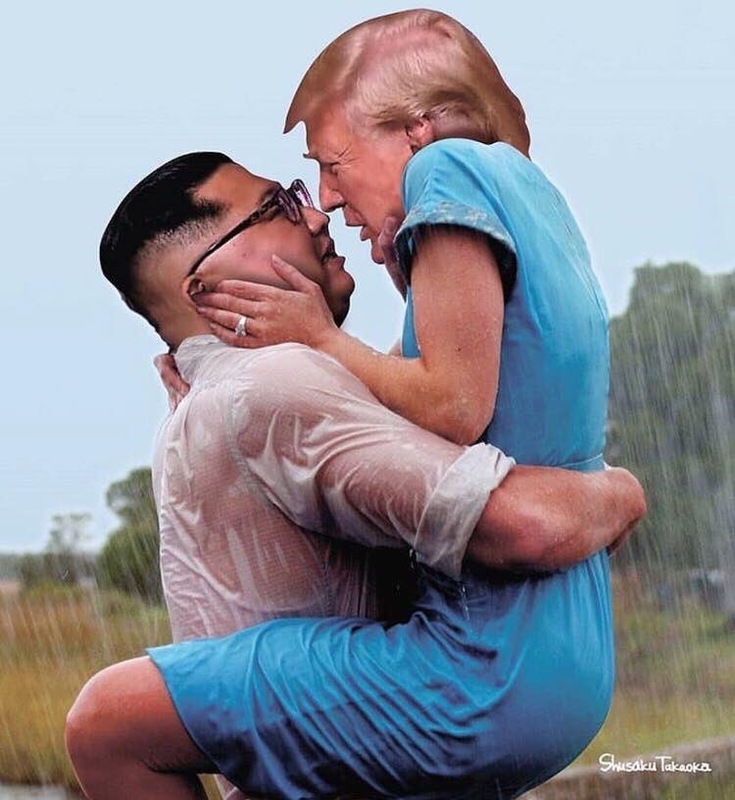 Instead of writing something clever or insightful this morning about Donald Trump and Kim Jong Un’s romantic getaway to Hanoi, I’m just going to drop this here. Two weeks ago I wrote about delusional British Defense Secretary Gavin Williamson’s ludicrous claim that Brexit would free the UK to return to a muscular, interventionist foreign policy. Rule Britannia! LONDON — The UK government is due to hold emergency talks with industry leaders on Tuesday after discovering that the country doesn’t have the right pallets to continue exporting goods to the European Union if it leaves without a deal next month. That’s right, the ubiquitous flat wooden structures that companies worldwide use for shipping their goods in large volume, are now the latest oversight in the ongoing farce that is Brexit. It turns out the European Union has really strict rules for pallets coming into the EU from “third countries,” i.e. non-members. Like Britain will be after they crash out of the union in a few short weeks. Wood pallets must be heat-treated or cleaned to prevent contamination and the spread of pests, and have specific markings to confirm that they legal in EU markets. And, of course, the Brits don’t have any, or at least not nearly enough. No, what they’ve got are pallets that meet the much looser standards that the EU applies to its members. And while this is a real joke, it’s actually no laughing matter. 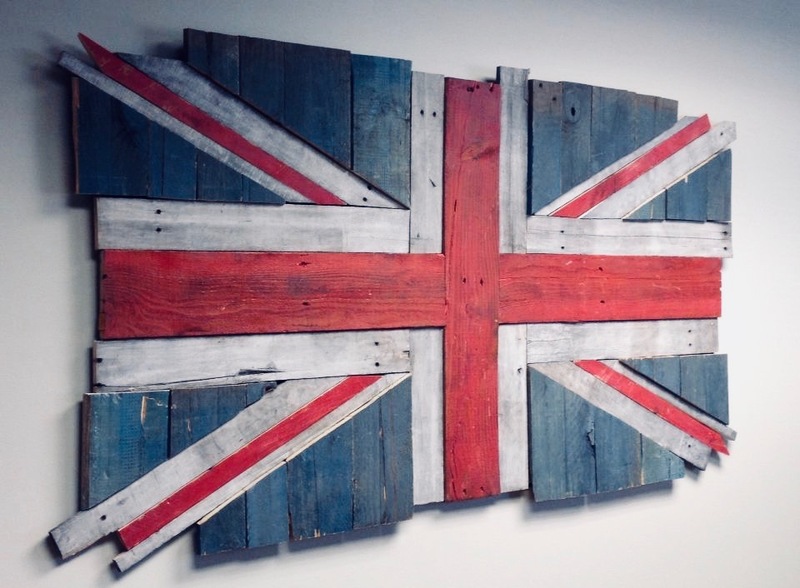 The Department for Environment, Food, and Rural Affairs last week told business leaders that the UK would not have enough EU-approved pallets for exporting to the continent if it leaves without a withdrawal agreement next month. That means UK companies would be competing for a small number of pallets which meet EU rules, and those that miss out would be forced to wait for new pallets which could take weeks to be ready. Affected industry figures who were scheduled for talks with the government said they were baffled about why it took ministers so long to learn of the dearth of pallets, given that they are a basic feature of cross-border trade. What sort of lunatic? Why, the very British sort indeed. The defendant is a domestic terrorist, bent on committing acts dangerous to human life that are intended to affect government conduct. As I have written repeatedly in this space, Hasson fits the picture of the typical American terrorist. He is an angry, right-wing, middle-aged white male. Hasson is representative of another dynamic I’ve written about before, the recurring problem of violent white nationalists and other right-wing extremists in the U.S. armed forces. Prosecutors’ motion to hold Hasson pending trial (the judge in the case ordered him held without bail for 14 days, pending further charges) contains evidence that cuts right to the larger question of the logic behind terrorism. With Hasson, as with all terrorists, the issue isn’t that he holds extreme political views and espouses extreme political objectives, but that he believes these objectives can only be accomplished through violence. As leading scholars of terrorism like Bruce Hoffman and Martha Crenshaw have long argued, terrorists are often driven by a powerful sense of impatience, that the concerns that motive them are so dire and pressing that there is no time to wait for the slow processes of normal politics to play out. The terrorist cannot sit and wait for the ideas that motivate him to take hold among the wider population. “The propaganda of the idea is a chimera,” Pisacane wrote. “Ideas result from deeds, not the latter from the former, and the people will not be free when they are educated, but educated when they are free.” Violence, he argued, was necessary not only to draw attention to or generate publicity for a cause, but also to inform, educate, and ultimately, rally the masses behind the revolution. Liberalist/globalist ideology is destroying traditional peoples esp white. No way to counteract without violence. It should push for more crack down bringing more people to our side. Much blood will have to be spilled to get whitey off the couch. The scholar Ted Gurr, in a classic discussion of terrorism in democracies, wrote that terrorism can emerge when activists with extreme political views lose patience with conventional politics and therefore look for new tactics that will have greater impact. Tactics like terrorism. 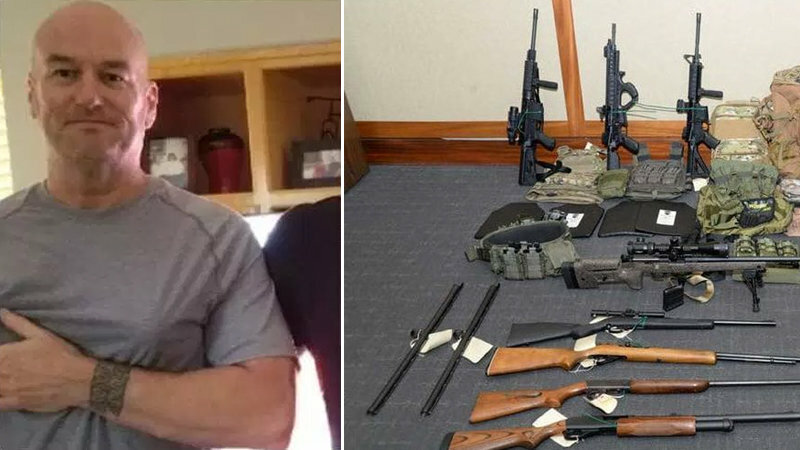 If federal prosecutors are right, that’s Coast Guard Lt. Christopher Hasson.